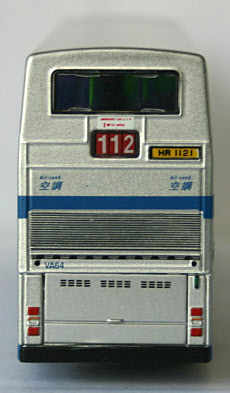 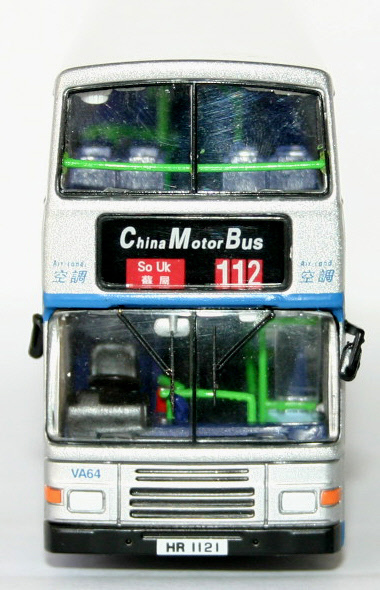 The bus - VA64 was the last new bus to be delivered to China Motor Bus. 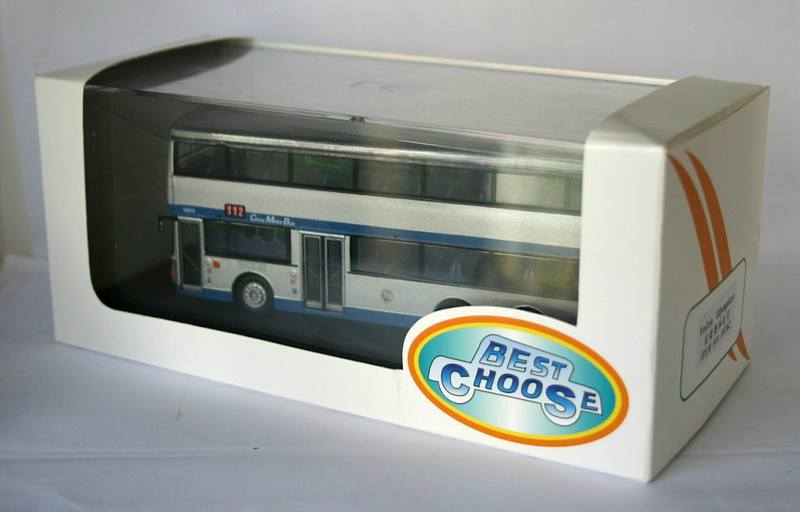 It was one of a final batch of 14 delivered in early 1998. When China Motor Bus (CMB) lost their franchise in 1998, the majority of their fleet was sold to New World First Bus, however, two 11-metre Volvo Olympians, VA62 (HP9730) and VA64 (HR1121) were retained by CMB. 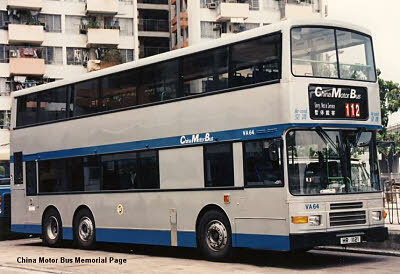 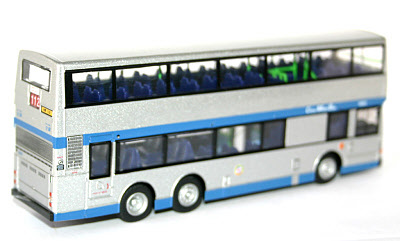 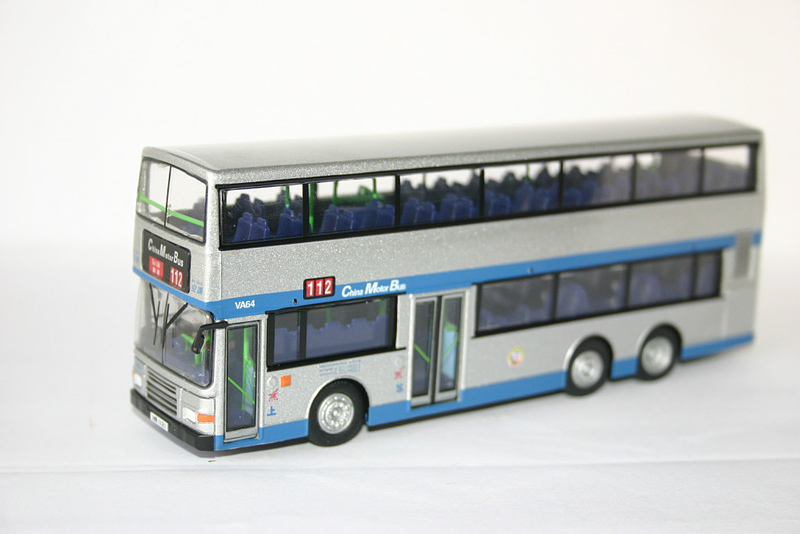 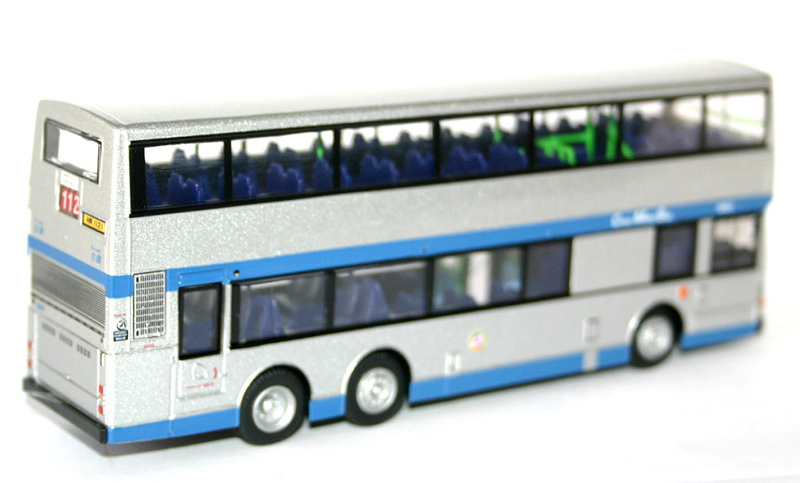 Subsequently, in 2001, they were both sold to Citybus in exchange for one Volvo B6LE (Citybus 1355 (HV6755)). They were allocated fleet nos. 1041/2, and were subsequently renumbered to 9041/2.